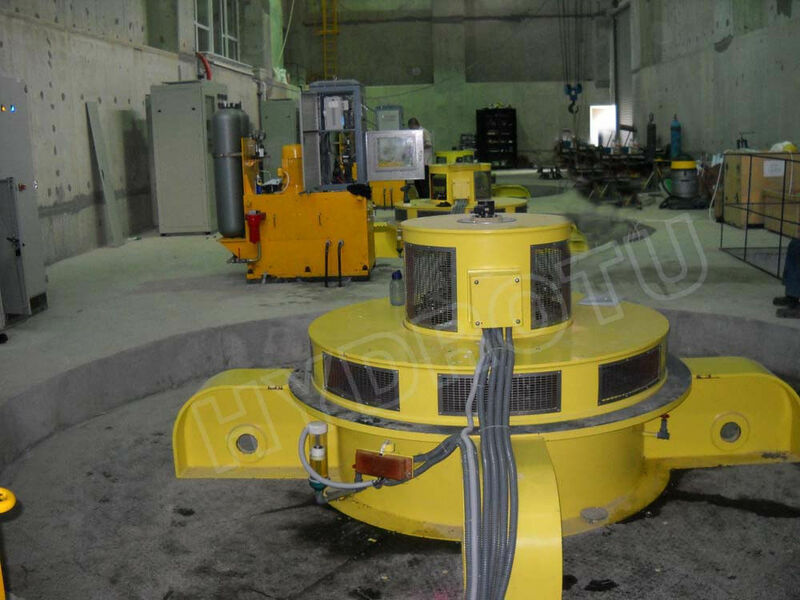 If you are interested in the Kaplan turbine, you should have some key parameters (such as net head, flow discharge, unit number, frequency, voltage) in inquiry. The Kaplan (axial-flow) turbine for low head from 2m to 70m. 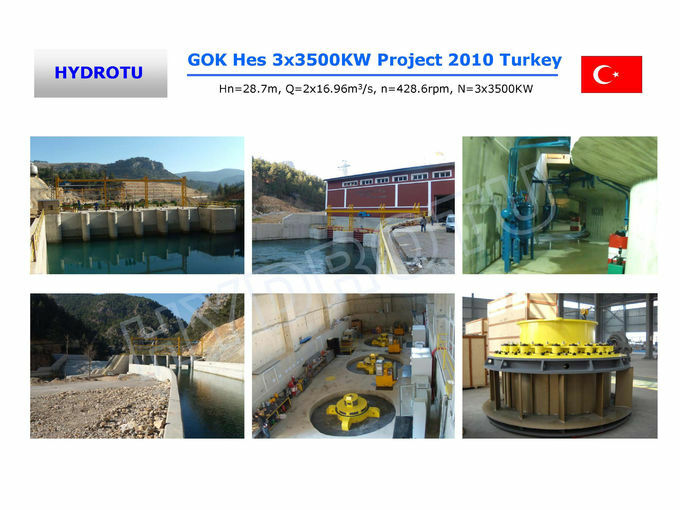 This type of turbine is mostly suitable for hydropower stations with low water head and big flow. lts feature is that the water flow passes through the runner axially. The axial-flow turbine can be classified into two forms according to the runner construction: one is fixed blades (Propeller) for small variation of head and power, the other is movable blades (Kaplan) for large variation of head and power. The kaplan turbine with vertical shaft arrangement , with three types as open flume, pressure flume, and seal off (concrete spiral case). Generally, Kaplan turbine is composed of distributor, guide vane, runner, draft tube etc. This hydraulic turbine is axial flow turbine with a vertical shaft. And its spiral case is made of metal or concrete. The water flows through the channeling pipe, and then into the spiral case, which ensure that the water enter the turbine circumferentially and symmetrically, forming certain circumfluence quantum. 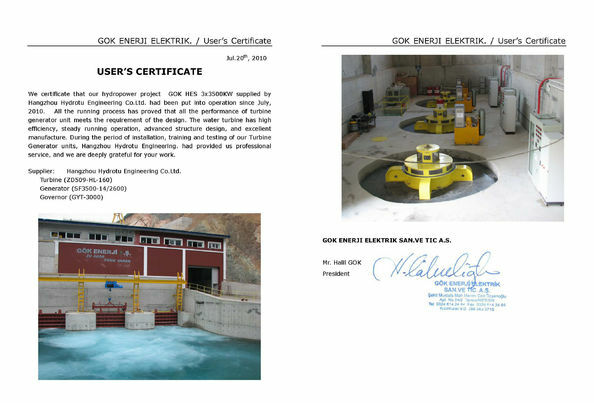 The water flows through the stay ring into the distributor, whose guide vanes can regulate the turbine discharge and the flow direction and thus make the water flow into the runner circumferentially and symmetrically. Consequently, the runner revolves and converts hydraulic energy into mechanical energy and then drives the rotor of the generator revolve by the force of the main shaft of the hydraulic turbine, thus converting the mechanical energy into electrical energy. The water, which has gotten out of the runner, flows to the downstream of river through the draft tube. Main structures of the hydraulic turbine are described in the following. 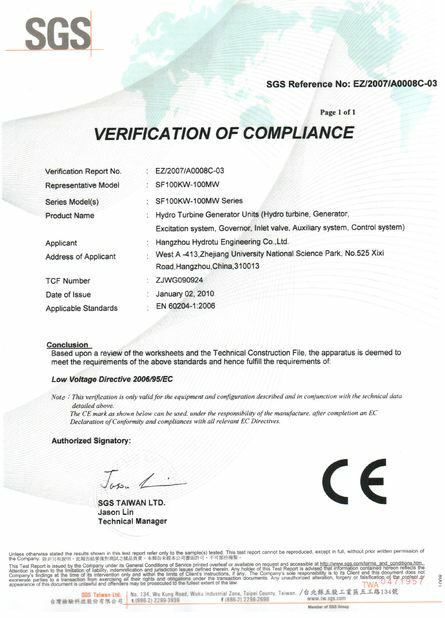 HYDROTU achieved ISO9001 quality system certification, has perfect quality management and process control system. Focus on building own brand, efforts to build brand of international competitive products. Hydrotu is always committed to research and development of new products, new technology, improve manufacturing capacity, and perfect the quality management system and service system. 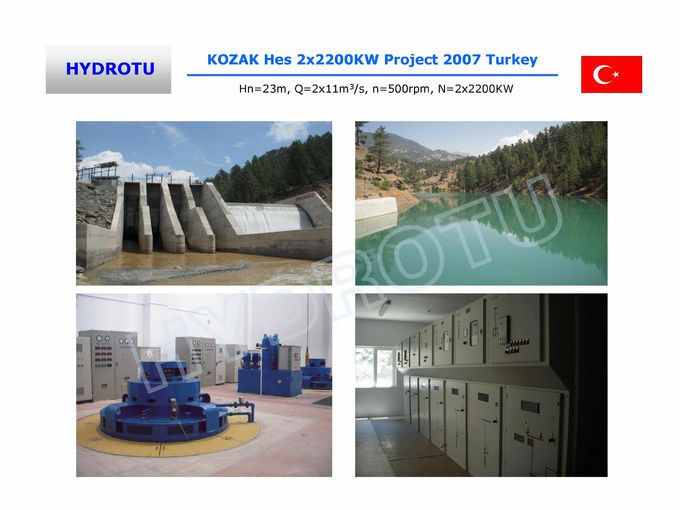 Our goals is " Fine manufacturing, pursue quality products, supply the best quality hydropower equipment".